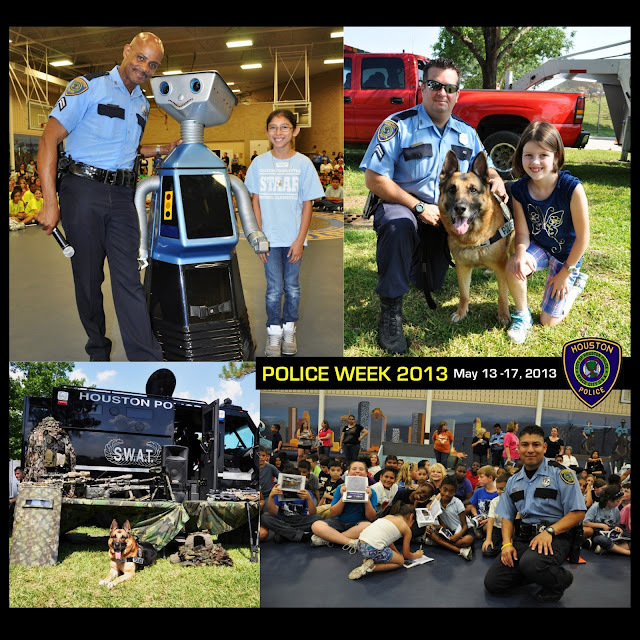 Reservations for Police Week 2013 are now open. 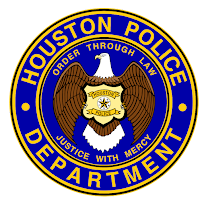 The Houston Police Academy, located at 17000 Aldine Westfield, will be conducting free tours of the facility. These tours will begin with an orientation at 9:45 am and conclude at 1:00 pm. Your group(s) may bring sack lunches and picnic at our facility after the tours have concluded. The tours are scheduled on a FIRST COME, FIRST SERVE basis so please SCHEDULE YOUR TOUR AS SOON AS POSSIBLE. This event is always at capacity, so please be considerate of others and ensure that you have your attendance approved prior to confirming your attendance. The children LOVE this event, don't miss out! 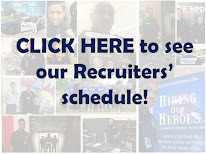 We look forward to seeing all of you again at Police Week! 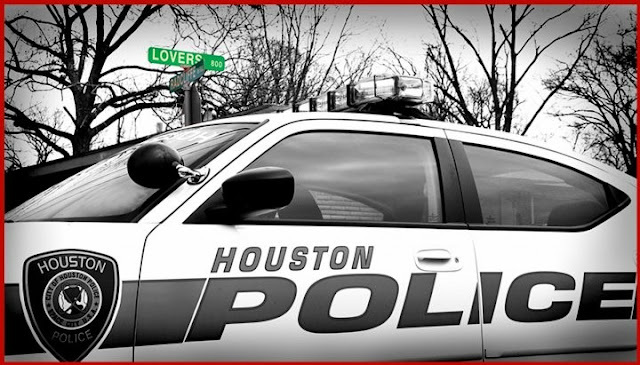 HPD would like to remind those attending the 2013 NBA All-Star Game events in downtown Houston to avoid becoming victims of thieves by practicing caution and awareness. The NBA All-Star Week will bring in many visitors to Houston. While this is a fun, family event, HPD reminds everyone to be alert and aware of their surroundings due to the large crowds and gatherings. Keep a close watch on your valuables, purses, wallets and anyone trying to sell counterfeit NBA merchandise or tickets. 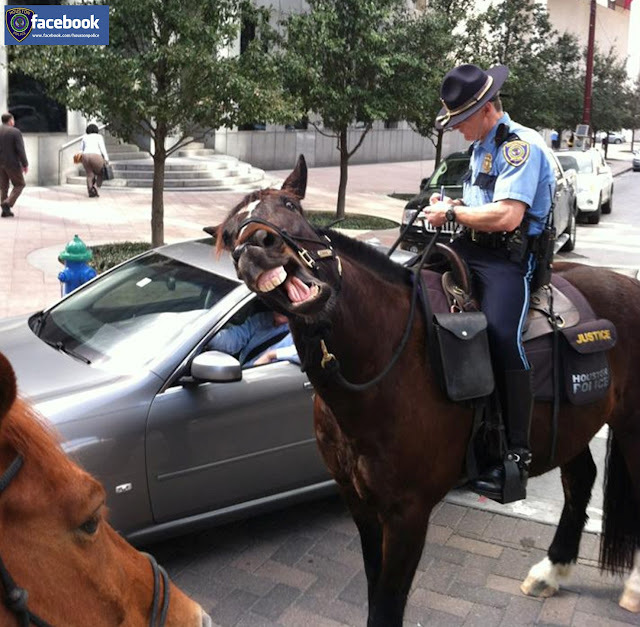 HPD will have cooperation from other local, state and federal law enforcement agencies in ensuring the public enjoys the festivities in a safe environment, as well as DWI enforcement efforts. If today's post can remind just one person not to forget their significant other or loved one on Valentines Day, it has done it's job. 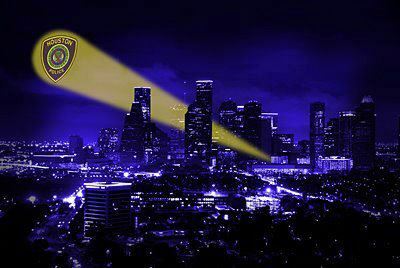 Criminal Intelligence Analyst (CIA) Jackson works within a specialized unit called the Real Time Crime Center for the Houston Police Department. The Real Time Crime Center is a centralized technology center in which its primary purpose is to expediently capture and provide field officers/investigators with instant and comprehensive information to help identify suspects, crime patterns and prevent emerging crime. While attentively monitoring the real-time center dashboards, CIA Jackson performed a self-initiated follow-up investigation on a pawn shop robbery. While reviewing the past pawn shop robberies criminal patterns performed by the suspects, he learned that these possible listed suspects fitted most every description of the listed suspects in a recent pawn shop robbery incident that occurred over night. The “M.O.” was the same in both related incidents. Once the suspects concluded their surveillance of the target location, the suspects would aggressively enter the pawn shop brandishing pistols and rancorously yelling out instructions. They would rob the shops of assorted items, but mainly jewelry. Additionally, CIA Jackson not only learned that the suspect’s descriptions were similar, but according to research records the suspects had visited the establishment they robbed the month before. Also, CIA Jackson through analytical research found evidence of their visit weeks before the robbery took place. CIA Jackson immediately sent his research data over to the robbery division investigators. Due to CIA Jackson’s analytical skills and tenacity, all suspects that were arrested for the current incident were also identified and linked to the past robberies as well. 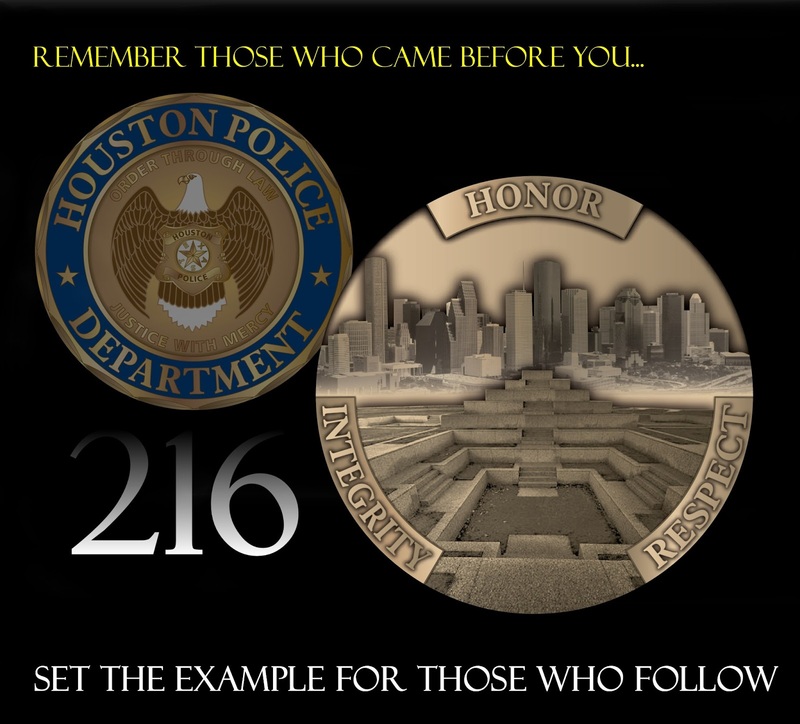 On October 10, 2012, the Department began accepting applications for Academy Class #216, which began on February 4, 2013. Cadet Class 216 had an authorized strength of 75. Sixty-four percent have college degrees and two cadets hold dual degrees. 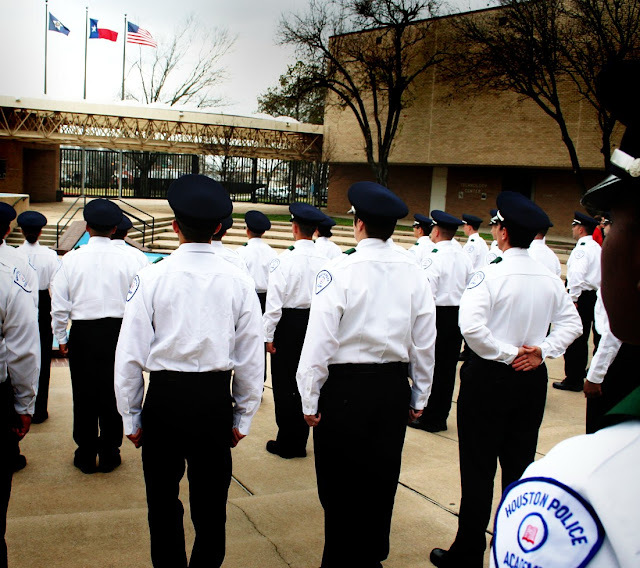 Cadets with Law Enforcement/Criminal Justice experience represent sixteen percent of the class and one cadet is a former Houston Police Intoxilyzer Operator. Thirty-six percent speak a second language and two cadets speak two languages other than English. Ten cadets participate in the Cadet Mentor Program. 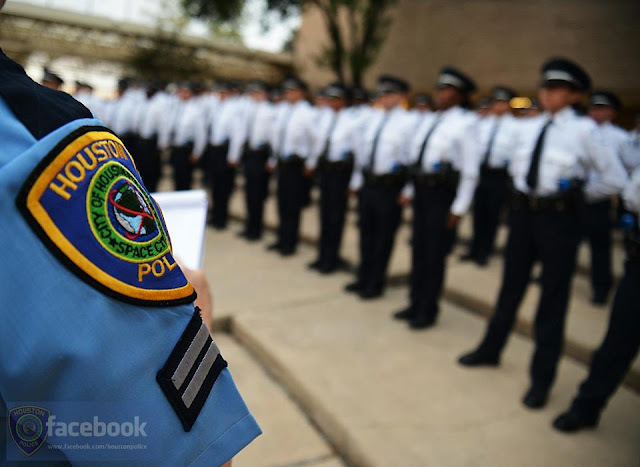 It should also be noted that fifteen cadets have relatives who are current or former Houston Police Officers and six cadets have relatives who are with other agencies. Past experience has shown us that the majority of those with college experience have a focus in Criminal Justice related courses of study and Class 216 is no different. Nearly a third of the class had CJ degrees, but the class cannot be defined by this fact alone. The members of Class 216 have experience in many other fields that are not related to criminal justice. One cadet has been involved in Women’s Professional Football for the last ten years, while another has played in a Mexican baseball league. They come from jobs such as teachers, former law enforcement, welders, bankers, and retail sales. Once again, we have a television game show contestant in a cadet class. In the last class, it was Wheel of Fortune and Class 216 has the distinction of having a cadet who was on The Family Feud. CONGRATULATIONS 2-1-6, stay strong and stay positive, six months will pass by before you know it. Always remember, HONESTY, INTEGRITY and RESPECT. Yesterday morning, Houston Police Chief Charles A. McClelland, Jr. welcomed dozens of police recruits to their first day of a rigorous 26-week training regimen in their quest to become Houston police officers. The Chief's welcoming address to Cadet Class 216 was held at the L.D. 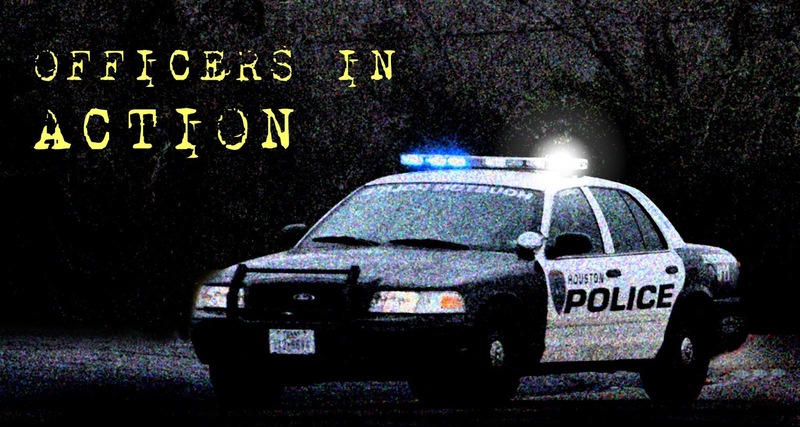 Morrison Sr. Police Training Academy. There always seems to be at least one Super Bowl commercial that has a police officer involved. This year was no exception; Oreo Cookies had a funny one for us this year. Enjoy. 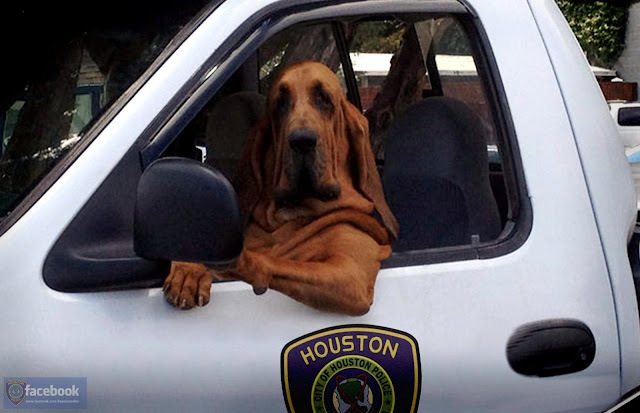 "...I am heading down to the recruiting unit to apply for K-9 if you need a ride."